Sikhs from around the country participated in the White House's largest annual public event. Pictured are the community members who attended the morning activities. 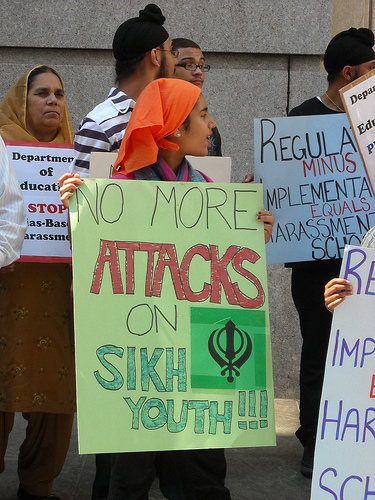 The Sikh Coalition and partner organizations give the NYC Department of Education grades on how they’re doing in protecting students from bias-based harassment and bullying in schools. The Report Card is the result of over 1,100 surveys of students and educators of diverse backgrounds and was released with dozens of Sikh youth from Richmond Hill at a press conference on June 30, 2009. An editorial penned by Sikh Coalition staff members appeared in the New York Times in September. The article highlighted the lack of protections for students against bias-based harassment in New York City schools.